Extremely professional and friendly service, very modern practice, great staff. Everyone was so nice and I was in and out without any unnecessary waiting. 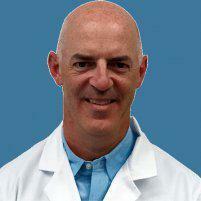 Dr. Karsch has a great bedside manner and would recommend him to anyone. Absolutely wonderful! Talking to Dr. Karsch and his staff is like talking to family members. They know what they are doing. I would recommend them to anyone who are having trouble with their body. I came in for a follow up regarding my knee injury. The pain had gravitated to my calf and I was concerned that I had incurred additional damage. Ashley and Diana took the time to completely evaluate where the pain was coming from by moving my leg into different positions. They determined that I had a sprained calf, likely from the original impact to the knee, and advised the best way for me to take care of it so I would be ready for my fast pitch softball season beginning in mid-March. That included stretching exercises, the use of rock tape, what I could do and not do at the gym and during softball practice. A complete plan for recovery. They did all this with great enthusiasm and made me feel special, like I had my own personal athletic training team. Thanks Ashley and Diana...you guys rock! Check in easy. Office busy so appointment a half hour late. Once seen went quick and everyone was great. Exceptional visit with Dr. Karsch. No wait time before seeing the physician and all concerns were addressed promptly. I would definitely recommend him to anyone looking to see a great Orthopedic surgeon! Dr. Karsch and his staff just take great care in my overall treatment. You have his undivided attention and thorough follow-up as well. Making appointments and going to see him is a pleasure. Office was efficient and everyone was really nice! Everybody in the office was incredibly friendly and helpful. They were also accommodating when I arrived 30 minutes early. Office is very clean as well. Great experience. Quick, thorough and informative. Great experience with the doctor. Took time to explain the problem. Will recommend to friends.